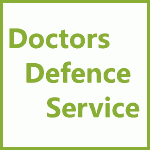 GMC / MPTS Interim Orders (IOT) Hearings Representation | Doctors Defence Service – UK. The GMC / MPTS will convene an Interim Orders Tribunal (IOT) hearing (formerly the interim orders panel (IOP)) where there is a concern that a doctor’s fitness to practise may be impaired by reason of ill-health, deficient performance (usually clinical performance), or misconduct. Usually, the IOT hearing will take place prior to the any referral to a fitness to practise (FTP) hearing. The investigation stage of the GMC inquiry into a doctor’s fitness to practise can take many months, if not years, to complete. In that time a doctor would be able to practise without supervision, even if they were incompetent, unless restricted. The IOT hearing is therefore convened to look at the doctor’s practise in light of the evidence and allegations that is available, in order to determine whether a doctor is safe to practise without restrictions or at all while the investigation into their fitness to practise continues. The interim orders tribunal may impose either: No Order, a Suspension Order, or a Conditions of Practice Order. An Order is reviewed after six months and then at regular intervals. Where a doctor has obtained new information that may lead to a relaxation or lifting of an Interim Order, the doctor may apply for an Early Review (no earlier three months after the IOT decision). The IOT tribunal does not make any factual findings. Instead, it assesses the weight of the evidence in favour of the doctor and against the doctor. The panel determines whether there is sufficient evidence to demonstrate that a doctor’s fitness to practise may be impaired. The IOT panel may take expert evidence into account, whether it is obtained by the GMC or the doctor, when looking at the seriousness and strength of the allegations. The code of conduct for doctors, Good Medical Practice, will be of relevance in assessing whether a doctor has fallen below the standards expected of them. The IOT looks at the risk of the doctor continuing to practise without restrictions. The tribunal should impose the minimum restrictions possible to meet the requirments of the case to take action, as they see it, if justified. If the panel is of the view that it is in the public interest, in the doctor’s interest, or otherwise necessary to protect the public (or uphold public confidence in the profession or the GMC), to impose an Order, the panel will go on to determine the type of interim order that will balance the doctor’s interests and the overall public policy interests in the given circumstances of the case. In essence, the IOT panel is undertaking a risk assessment. Whether or not the IOT hearing panel imposes an interim Order, the GMC will continue to investigate the allegations against the doctor. An IOT hearing does not bring the GMC investigation to an end. See our guidance on GMC Investigations. Where significant dishonesty or a serious sexual assault is alleged, by way of example, a suspension is likely to be imposed by the IOT panel. However each case turns on its own facts and doctors may well have Conditions (restrictions) imposed, or, no Order at all imposed, where they attend and make submissions and present evidence of their suitability to continue to practise medicine, while the GMC investigation continues. Doctors Defence Service lawyers regularly present defence arguments on behalf of doctors who are invited to attend an IOT hearings. Our lawyers advise doctors on the evidence they will need so as to present a strong case that they are fit to practise. In many cases, where a strong defence is presented the GMC IOT panel imposes no order or only conditions-‘lite’ (as we colloquially call them), which most doctors could easily work to. More stringent conditions will be imposed in some cases, which may also restrict the doctor to working for the NHS only, until the conclusion of the GMC FTP process. The GMC has published a IOT Conditions Bank document, which provides examples of Conditions that an IOT panel may impose. The Conditions Bank should be read in conjunction with the GMC’s publication Glossary of Terms, which defines the words used in Conditions of Practice Orders. Case law holds that a conditions of practice order should not be made in terms that will in effect be a suspension in anything but name. The courts also accept, however, that a doctor will naturally find it more difficult to obtain work where conditions of practice are imposed. That in itself is not a sufficient reason for the GMC not to make an order of conditions, where it is in the public interest, necessary to protect patients (or the doctor) or otherwise uphold the public’s confidence in the profession. See our IOT Case Law page for more information. If a doctor works or acts in breach of a Conditions of Practice Order, the GMC may take more draconian action, which could lead to suspension and/or erasure. A doctor must therefore ensure that they comply with the terms of any Conditions of Practice Order imposed upon them by the GMC. In 2011 the IOT panels imposed 158 suspensions, 236 conditions of practice orders, and made no order in a further 95 cases (totalling 489 cases). (Source: GMC Statistics 2011) Interim Orders Tribunal hearings were up by 4% in 2011, on 2010 figures. In 2012 the IOT panels imposed 542 suspensions and conditions of practice orders (the precise figures for each are not broken down in the 2012 annual report), and made no order in a further 242 cases (totalling 784 cases). (Source: GMC Statistics 2012) Interim Orders Tribunal hearings were up by 60% in 2012, on 2011 figures. This appears to be due to a policy shift on the part of the GMC to ask the independent MPTS panels to make the decision about borderline cases that they have hitherto not referred. A doctor must evidence that they have complied with any conditions that have been imposed. They should carefully read the requirements of the conditions and provide the relevant evidence. This might be a supervisors report, a letter from a GP in health-related matters, or evidence of remediation. Some IOT reviews are now held on paper (as of April 2016), where a continuation of the current interim order is not opposed by either the doctor or the GP. Where a review is held on paper, the doctor should still provide evidence of compliance with the current order and provide any other evidence that might be relevant. Where the Chair of an on-paper review is of the opinion that a IOT hearing should be convened (to consider matters in greater detail, because a variation or new order may be necessary based on the evidence available), they will direct that a hearing should take place. The doctor will be invited to attend. A doctor should think carefully before deciding not to attend a review hearing in person, as there will be a risk of an adverse outcome if the doctor does not attend and does not send counsel. If, on balance, a doctor decides not to attend they should still write to the tribunal explaining why they are not attending. They could still send Counsel to represent their interests. It should be borne in mind that it is the interim orders tribunal that will decide on the type of order to be imposed and so, even where the GMC and defence are in agreement about the current order continuing, there will be a risk that the tribunal will make changes to the order. In at least one case that we are aware of, a doctor who did not attend their IOT review hearing (even where there was not a significant material change) the tribunal imposed a suspension order in place of the conditions of practise order previously imposed. Where there has been an adverse outcome (ie. an order has been imposed that the doctor does not like or the doctor considers will make them jobless) the doctor must wait until the next review or bring an appeal to challenge the order. Not being able to work (as a consequence of the impact of an order on the doctor’s practice) can be costly and reputationally damaging, but an appeal can be very costly too and will not necessarily be successful. There will be occasions where a doctor is unable to work because potential employers are unwilling to employ a doctor under such restrictions, on economic or other grounds. This is unfortunate but not in itself something that will be persuasive in most cases to alter an interim order on appeal or at an IOT review. A doctor should put forward evidence, however, of jobs they have applied for where they have been unsuccessful at obtaining work, as this may influence the review tribunal’s thinking on the next occasion. A doctor must lodge an appeal ‘within a reasonable time’ from the date the order is made. This is not defined. An appeal is brought by way of Part 8 of the Civil Procedure Rules (CPR). A GMC review hearing may actually be preferable because the appeal court has limited disposal powers, and will not interfere with an IOT decision where the assessment of risk has been properly balanced. On occasions, however, it can be useful to obtain the opinion of the appeal court on the continuation of an order. Where there has been significant delay some high court judges have relaxed the order imposed by the MPTS. It is often better to apply for an early review at the MPTS, rather than appeal to the High Court, but each case turns on its own facts. We can advise on the best approach, based on the merits and prospects of success in the case. In CRHP v GDC and Fleischmann  EWHC 87 Admin – the court held that a clinician should not usually be permitted to practise medicine while still serving a sentence (February 2005). This principle might therefore have an impact on whether an order of suspension ought to be imposed. “The allegations in this case involve serious criminal offences. As an adult and a trainee doctor the Claimant is said to have lent himself to a joint enterprise in which his younger sister, a minor, was held captive for a substantial period of time and was assaulted by others in the family group. All it is said because she had behaved in a way which the family found to be inappropriate and likely to cause them dishonour. In addition, this claimant is said to have obtained for her and given to her the morning after pill which he ordered that she should take. In my view these allegations are of such a nature and are sufficiently serious to warrant interim suspension better to maintain public confidence in the medical profession.“per McGowan J (September 2016). The appeal judge also expressed the view that an IOT review hearing would have been the better forum to bring a challenge to the suspension order. The doctor was ordered to pay the GMC’s costs as his appeal was dismissed.